Mila was courteous, an extremely knowledgeable, and responsive to my questions. She is indeed a consummate professional, who has exceptional local knowledge! This was evidenced by her taking the time to show me many properties so that I could understand the community and make informed decisions. She provided insight without pressure and this was invaluable in my decision making in proceeding to purchase this property! I would highly recommend retaining her services if you are buying or selling a property! Mila is an experienced real estate professional who sold my condo in record time at a price I was satisfied with. She came to our first meeting with data to support her proposed listing price and a marketing plan that brought nearly 40 people to view the property in the first two weeks after listing. I addition to effectively handling the negotiations with the buyer, she was able to efficiently coordinate the escrow process including the inspections and other requirements of the condo association. I wholeheartedly recommend Mila Piso, especially if you are buying in Laguna Woods Village! I first met Mila when my mother and I visited an open house Mila was having. We were immediately impressed by how friendly, helpful and knowledgeable she is, so we chose her to be our agent when we started searching for a home. We had very specific needs for the home we wanted, and Mila immediately contacted us when she found the perfect place! We just closed escrow on our new home, and we feel very lucky to have Mila as our agent. She is extremely hard-working, very efficient with paperwork, easy to communicate with, and she gave us excellent advice about applying for a loan and how we could complete the association's requirements for a Laguna Woods purchase based on our combined assets. Purchasing a property in Laguna Woods Village is more complicated than a normal home purchase, so you absolutely need an agent like Mila who is an experienced expert in this community. We will be asking Mila to be our selling agent soon when we sell my mother's old home in a few months. Whether you are buying or selling, you will be in safe hands with Mila, she takes great care of her clients! Completely Satisfied! There's a reason Mila has such high reviews. You won't be disappointed. Mila helped us find a home for my Father and she couldn't have been more helpful. We very highly recommend Mila Piso as a Real Estate Agent. She is a consummate professional. Mila is a joy to work with. She is extremely patient, helpful, knowledgeable and certainly not pushy. I would choose her again without hesitation!! Mila Piso is an outstanding agent. She sold our property in three days and was a pleasure to work with. She is energetic, professional, knowledgeable and an excellent negotiator. I recommend her highly. Mila was listing agent and I made an offer thru her. It often is difficult for an agent to represent both seller and buyer. Mila did a very professional job bring both parties together with no problems and stayed on top of the escrow process on a very technical escrow process to a successful conclusion. She is very responsive and comfortable to work with. Mila is an excellent realtor. She is hard-working, diligent and honest. She worked hard to complete the sale of my home, and everything went smoothly. Mila walked me through the entire process, and she got the highest price possible for my home. I recommend her highly. We had a great experience working with Mila as our buyers agent. She is familiar with the housing market, and knows everything about the process of buying and selling property in Laguna Woods. Additionally she was easy to work with and very responsive to our questions and concerns. Thanks to Mila's experience and expertise, we were able to buy the home we wanted at the price we offered. We highly recommend her friendly and professional services! seller to make all the improvements I was looking for and we were able to close on the house in one month. Mila is awesome! Mila helped us get the house we wanted, even though she had to deal with many difficulties from the Selling agents. She was there at every step of the way, answered promptly every question we had, and was very giving with her time and efforts. I would hire her again any time, and recommend her very highly. I am so happy I chose Mila as my realtor and I recommend her highly. Mila is professional, knowledgeable, honest and trustworthy. She was wonderful to work with as she made the buying and selling process so easy for me. I especially appreciated the constant communication from her with each step of the transaction. Mila gave me a strong sense of peace of mind knowing that she had my best interest in mind and was willing to go the extra mile on my behalf. Thank you, Mila. Mia was a real pleasure to work with. She was really on top of everything involved in the selling of my home and I felt like she really fought the battle for me on every front. It was wonderful having her in my corner!! Mila is a true professional in the difficult world of real estate sales. She sold our property almost immediately for the price we wanted and led us through the tangled web of all the paperwork. We would definitely recommend her to anyone wanting to buy or sell property. 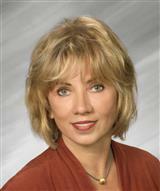 Mila is a wonderful person and a very professional real estate agent for Laguna Woods. She is honest, and she takes you every step of the way during the buying or selling process. Mila Piso gives excellent and courteous service and was of great help when l purchased in Laguna Woods. She is very knowledgeable about the special requirements of the community and makes the experience easy and rewarding. I recommend her highly. After our parents passed, we needed to arrange to sell their Laguna Woods condo. We found Mila through her ad on Zillow and couldn't have been more pleased with her performance. She helped us find great people to help empty, clean and inspect the property. She provided outstanding and responsive service that led to an all-cash sale the first week it was listed. I highly recommend Mila to anyone seeking an honest, hard-working and extremely pleasant realtor. When it was time to sell our dad's Laguna Woods home, my brother, who lives in Alaska and myself, a Colorado resident, thought "how will this work from afar?" Mila coordinated everything for us and it was a smooth transition. Her professionalism, promptness, and incredible knowledge of the market left us with nothing to worry about. She constantly kept us informed, up to date and was always available to answer a question. We are very appreciative of Mila's expertise. Thank you! Mila was perfect in every way. I am so glad I chose her to sell my parents home in Laguna Woods. I live out of state and she handled everything, keeping me informed through the whole process. I can't thank her enough. I have dealt with several excellent realtors over the years in buying and selling seven homes. Mila Piso is the best. She is very responsive, patient, knowledgeable, hard working, and most importantly, she is someone you can trust. I would heartily recommend Mila to anyone who needs the services of a realtor in Laguna Woods, CA. Mila helped with the sale of my mothers home after she passed away. I live 400 miles away and relied on Mila to coordinate the continued care of the home, staging, getting a handyman, arranging someone to do an estate sale and then of course the negotiation, sale and escrow. Mila is highly knowledgable of the area and I highly recommend her. My parents, aunt and I spent the day with Mila last year when she showed us numerous manors in Laguna Woods (LW). We found her to be helpful, patient, and knowledgeable about current prices vs. value, contractors (good vs. poor workmanship) etc. It was important to us that our Realtor "live" in LW - to better respond to questions we had. Approx. one year went by before my parents made the decision to leave their larger home w/acreage in San Diego Co. We called Mila who showed them numerous manors in LW one of which they made an offer on that day. They got it, and have been living there for a couple of months now. I worked with Mila for my parents due to them not living nearby and was very pleased with her follow-through and response turnaround time throughout the transaction. Both my aunt and I plan on downsizing and moving to LW soon, and we both plan on hiring Mila. We would definitely recommend Mila to anyone looking for a good real estate agent. She is very professional and diligent, as well as being very knowledgeable. She was a pleasure to work with, as she managed to smooth out the rough spots while remaining positive and upbeat. Mila assisted in every detail of purchasing our new home in Laguna Woods, and from 300 miles away! From offer to close of escrow, she helped in every activity. From title co., loan agent, and after the sale the tradesmen to remodel before our occupancy. All her recommendations were outstanding. After many years in the property business, she is the best agent I ever worked with. I myself was referred to Mila and I was so thankful that I met her. She is very prompt, which means a lot to me, extremely knowledable of the area and all the rules for where I was looking. She was a true joy to work with, and now I consider a friend. Mila is a professional agent who has my complete confidence in matters concerning real estate. She listened to my needs in looking for a home and tirelessly took me to see quite a few before I decided. She was very helpful in seeing that I was familiar with the Laguna Woods area and their facilities before I bought. On the sell side she was just as thorough ensuring that my place was up to snuff to sell and did all the right things letting agents and brokers know it was available. I would use and recommend her services. After 2 visits to our new home, with the help, care, and expertise of Mila Piso, we were able to complete our purchase all the way from offer to close of escrow from 300 miles away. After sale, she assisted and recommended all the tradesmen to complete a remodel before our occupancy. All the people she recommended were outstanding. After many years in the property business, she is by far the best agent I ever worked with. I found Mila to be a very confident agent who helped me buy a co-op in Laguna Woods in 2011. I knew nothing about the community and she took the time to help me understand it and its facilities. I bought a co-op that suited my needs completely with her help. When it came time to sell it I asked Mila to help and she jumped right in and made sure that I got the best deal for the unit. I would highly recommend her services. We had met Mila 2 years ago and even though our parents were not ready to "transact" at the time, we stayed in contact and Mila was very accommodating and patient with us. Earlier this year (2013), we reinvigorated our search and Mila showed us literally hundreds of properties - always looking out for what we needed. She counseled us and comforted us - with a skill that only a truly warm person with a kind heart can have - when we were outbid by several "cash investors". In the end, Mila has become a true friend of ours, almost like a favorite aunt who really knew what kind of property we needed - so much so, that when one very late evening she found a fleeting opportunity on a house that perfectly matched our wish list - she called us in the evening and we bid on the property - without even seeing it!!!! It was everything we had dreamed of and more! We closed on the property in June of 2013, using all of Mila's contacts (escrow, coop bank, inspectors, etc.) - and we are very happy. We have acquired a lifelong friend, who also happens to be the best real estate agent we had come across! We would highly recommend Mila to anyone! She is simply the best! Mila offered to sell our parent's home "as is," or to help us do some replacements/upgrades (carpeting, painting, repairs, etc.) to get a better price. She said she would get estimates from all contractors and, once plans were in place, she took total responsibility to let them in, oversee and ultimately approve their work. As we lived out of state, it was only Mila's promise to accept these responsibilities that allowed us to go forward with the improvements. She did a great job, as did the contractors she brought in, and we sold the home for a much better price and net gain to our family than if it had been sold "as is." Mila did a great job and deserves very high marks for her work! Mila was very professional, knowledgeable, and helpful with the purchase of our home. She was always prompt in responding to our phone calls and emails and negotiated very well in our behalf. We would definitely work with her again. Mila Piso successfully sold my home in Laguna Woods. She was always professional and she obtained the highest price for my model. Mila communicated regularly and kept me informed of all important matters. You will not find a better realtor or anyone more dedicated to her client. I was very fortunate to have selected Mila as my realtor. When deciding to sell my mom's co-op in Laguna Woods Village, I spoke with three agents. Mila stood out. She presented the best plan, told me about all the particular rules and regulations of selling property in Laguna Woods. Informed me on what I must do and gave me her plan on what she will do. However, she went well beyond that. Since I did not live locally, she took care of everything she could. Her efforts resulted in a quick sale at a price fair to both buyer and seller. I would highly recommend her to anyone buying or selling a home. I had never bought home before and was very confused about the whole process. I had seen a place that I liked but didn’t know what to do next. I called another real estate agent before I called Mila, and that agent was only able to schedule something at an odd hour the next day. I felt the place I liked would go fast, and needed an agent as soon as possible. I saw Mila’s profile and thought she looked like she would be someone that would be easy to work with. I was right. I called her and she was available within an hours notice to show me the place that I had liked. Within 2 months, I owned the place. She took me through every step of the process, so that what could have been very overwhelming was very manageable. Every referral that Mila gave me was quite professional: from the Loan agency, the Escrow agency and the Inspector who did the private inspection. If Mila recommended them, I knew they were top-notch. Just like she is. I feel very fortunate to have chosen Mila as my real estate agent and have and will continue to recommend her to my friends and relatives. My mother decided to move into an assisted living facility in Mission Viejo, so she hired Mila to sell her Laguna Woods house. Soon after moving, my mom passed away, which meant that Mila and I would would need to team up to sell her property. Needless to say, this was a difficult time for the family, but we were so fortunate to have Mila in our corner. Having been involved in only one home sale before, I completely relied on Mila's knowledge of the market as well as her expertise in the selling process. Throughout our months of working together, she often made helpful suggestions and thoroughly explained our options, whether it dealt with pricing strategy, home repairs, or making counter offers. Twice, our property fell out of excrow, but Mila's positive attitude, tenacity and sense of humor kept us from becoming frustrated. She continued to educate us on the comparable market, and would immediately re-start her efforts via numerous open house weekends. We always felt that she had our best interests at heart. Small details matter with Mila. When it became evident that minor repairs were required to make the house more viewable, Mila hired the right person for the job, and made sure the work was done properly and at a fair price. Her attention to detail and strong follow-up were quite assuring. She took the "load" off our backs, and that was greatly appreciated. Mila was an absolute joy to work with. She helped make a difficult time more bearable, and for that, I will always be grateful. Two words sum her up...smart and honest. I probably won't sell the house I live in, but if I ever decided to, I'd call Mila. Working with Mila was a delight. She is extremely knowledgeable about this community which was essential to find the right buyer. Also, she was always available to answer any questions I might have. I appreciate all the work she did in showing my home, especially in this difficult home-selling market. She is simply the best! We find ourselves saying "Thank you" over and over again to you. However, the words do not express our deep appreciation for all the time you have taken and things you have done for us. We can not imagine how we would have accomplished everything without your guidance,referrals, etc. You have had our best interest in mind throughout the entire process and we are forever grateful. It has been such a pleasure to work with you! "It's hard for me to believe that any other agent could have been as diligent or have provided as comprehensive an analysis as Mila Piso.From the beginning, she was on top of every conceivable aspect of the sale. It was clear that she brings to bear an extremely largeknowledge base regarding the processes, in general, as well as all issues specific to the location and type of property for sale. She worked so hard on my behalf that, at times, I felt that she was working 24/7 for me, alone. She is an enormous advantage to Century 21 and I would look forward to using her services again. I will not hesitate to recommend her to friends should the need arise"
"We are very happy that you were able to keep the sale together for us. Having been in real estate myself, I know what you went through with that other agent. They are the kind who know nothing, talk loudly and think only about themselves. You as the listing agent had to carry the whole load. Linda and I thank you very much for all the hard work you did. It was not an easy one, and you came through like a champion. Again, thank you for all your good effort. We surely appreciate it." "Mila is a true professional. She conducted herself with class. She made firm recommendations courteously but with a convincing style. She put a small decorative item in every room of this furnished unit giving it an appearance of elegance. I am thankful for having found her and grateful for her efficient handling of all the details.Century 21 is indeed fortunate to have Mila on your team. " My husband, Darwin Hall, and I recently needed to find a realtor to sell his mother’s condominium in Laguna Woods Village. Of course the entire process of moving an elderly relative and clearing out their home can be stressful, and this real estate market makes it all harder. However, we had the luck to have Mila Piso recommended to us and we want to let you know how wonderful she was. She gave us very practical advice about making the home look good, did a most thorough job of sorting out market comparisons, and listened very carefully to our primary needs and goals. As a result, from listing the home in late September, escrow closed a week ago. I should also note that in the middle of this my husband broke his leg, so Mila did more work getting documents (offer, counter offers, etc.) to him and his mother than would usually be the case. We very much appreciate everything she did and would recommend her highly to anyone else looking for an agent.